g) First person or third person? 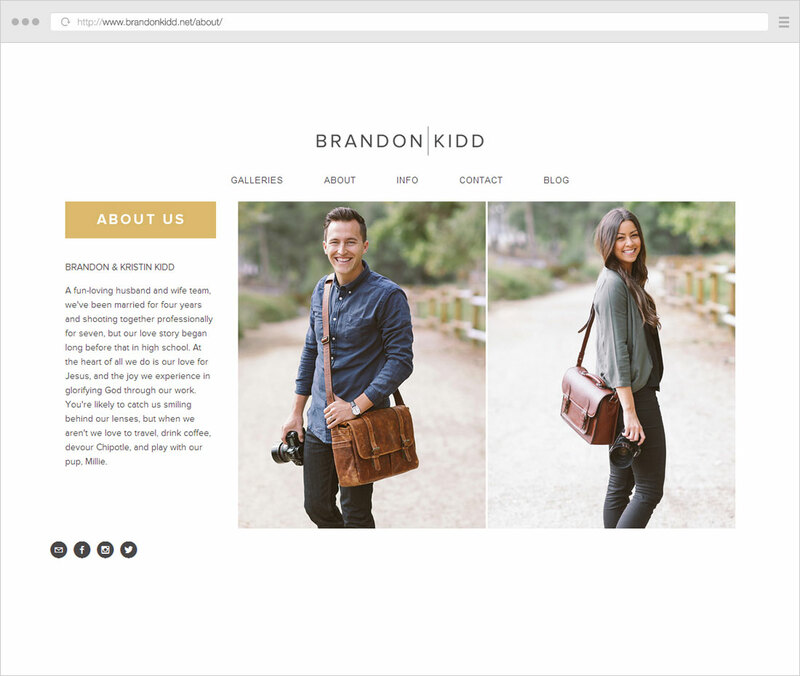 When building their website, photographers often get stuck when creating the About page. Simple at first sight, there are a lot of details that go into writing the perfect “bio”, so the process can become quite challenging unless you have some guidelines in place. 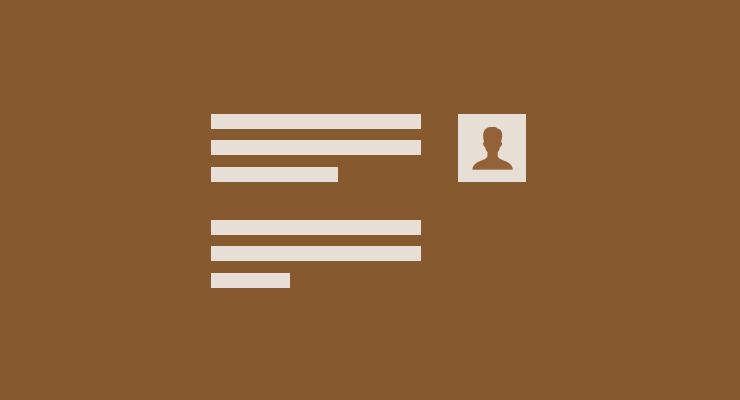 People usually have a hard time writing their bio because they’re unfamiliar with their target audience, therefore they don’t know how to tailor the text properly. Or they do, but it’s simply difficult to satisfy different types of visitors (some will want facts, some will want more personality/creativity). First of all, how should you call it? 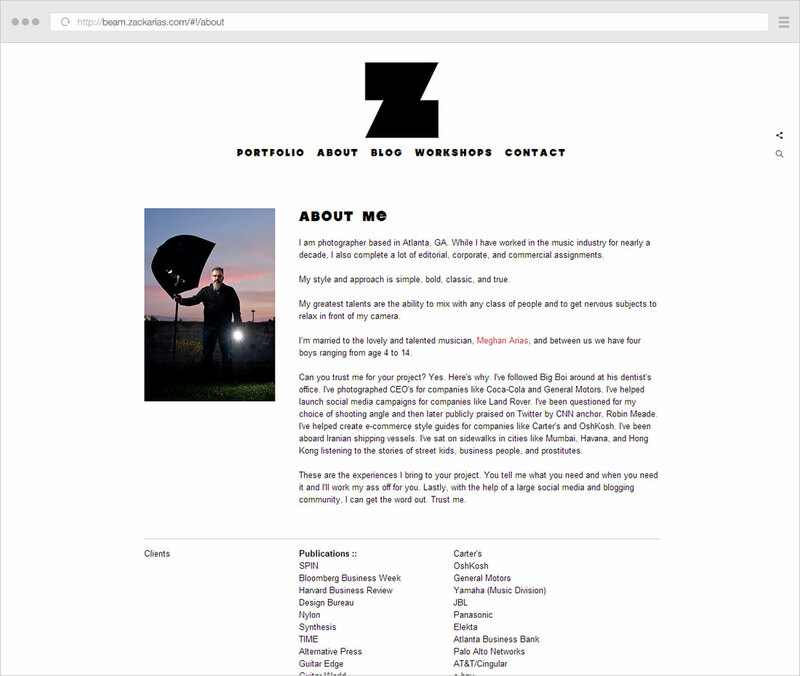 If you’re a group of photographers or an agency, “About Us” is more appropriate. As for its position in the menu, it usually sits second (after “Home”) or towards the end (before “Contact” which should be last). When users reach this page, what do they see at the top? 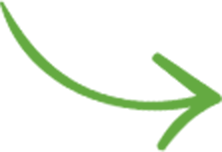 Don’t just leave the title “About” or “Bio”, people already know they’re on that page, they clicked on the navigation link to get there. Your (difficult) job is to try to combine these two aspects in a clear and concise manner, while removing the superfluous. We’ll focus more on the personality aspects, because psychology plays an important role in business relationships too, but don’t neglect the simple enumeration of facts where it’s due. 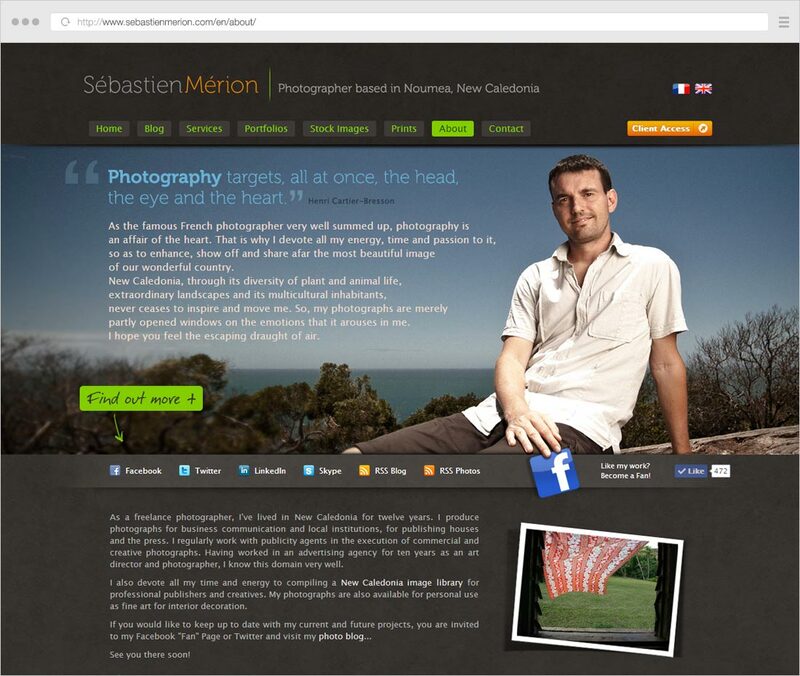 The bio text is the most important element on the page, the thing that people come to this page to see. 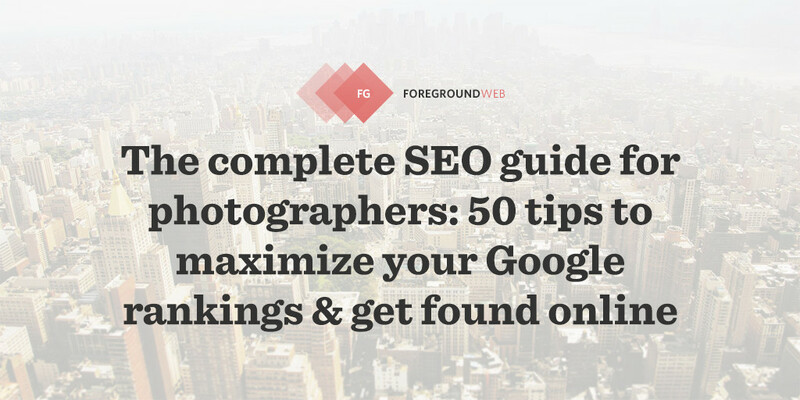 It should basically communicate, in a few paragraphs, what you & your photography business are all about. If you’re really not comfortable writing your biography, you should indeed consider hiring somebody to write it for you. But hopefully these notes will help make things easier for you. Some website owners prefer merging the About and Contact pages, in which case it’s essential to include your contact info on the page, making it loud-and-clear how visitors can get in touch with you. 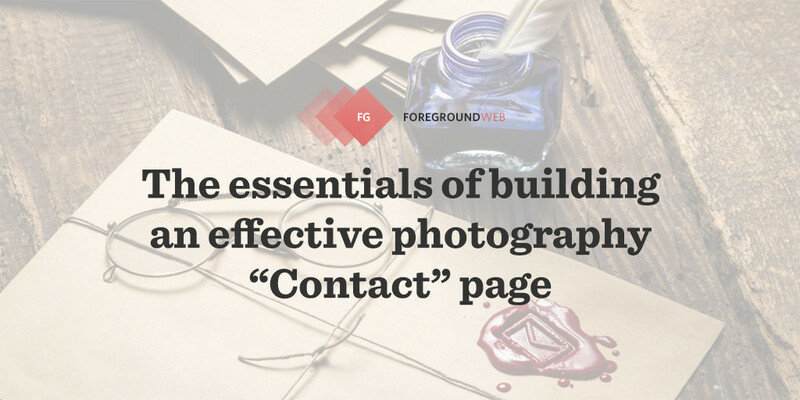 Make sure you’re combining these guidelines with the best practices for building effective Contact pages. A few paragraphs at most, this is not the place to go in-depth about your childhood. 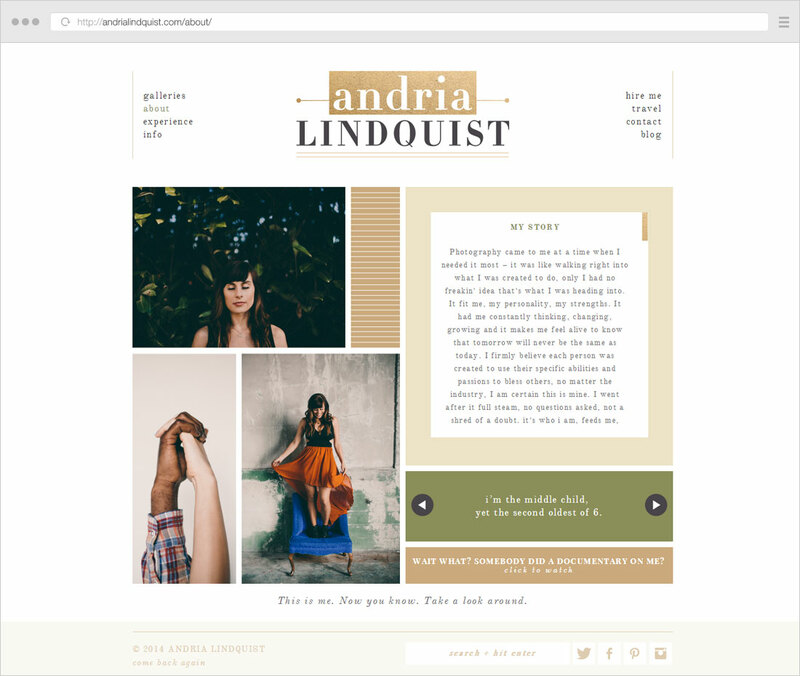 If you think a longer and more detailed bio would be relevant, you can place that on a separate page or blog post and link to it from the About page. Most of the times, though, you’re saying more by saying less. 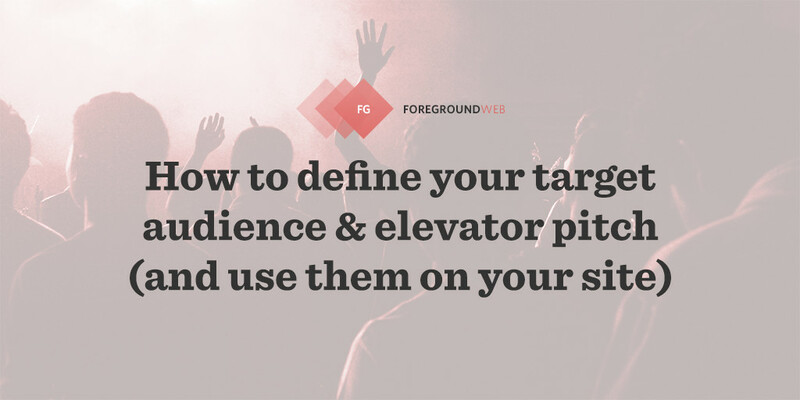 Try to make people resonate with your work by giving small glimpses into your life and work that might appeal to your target audience. And beware of the invisible line between being funny and being condescending. Get feedback from some close friends. Even if you’re very successful, don’t brag too much, people can sense that from miles away. It’s normal for you to showcase your achievements and skills, but try to also write about your struggles, about something you’re still actively learning. Clients and photo buyers like to see confidence, progress and enthusiasm, instead of just over-the-top self-praises. You should always double check all your texts and even get someone else to proof-read your content. Then check again. People are very quick to notice mistakes, and they lose trust once they spot too many writing errors, they get put off by the obvious lack of care. This is even more valid today when you have a very short amount of time to create a good impression, surrounded by tough competition. 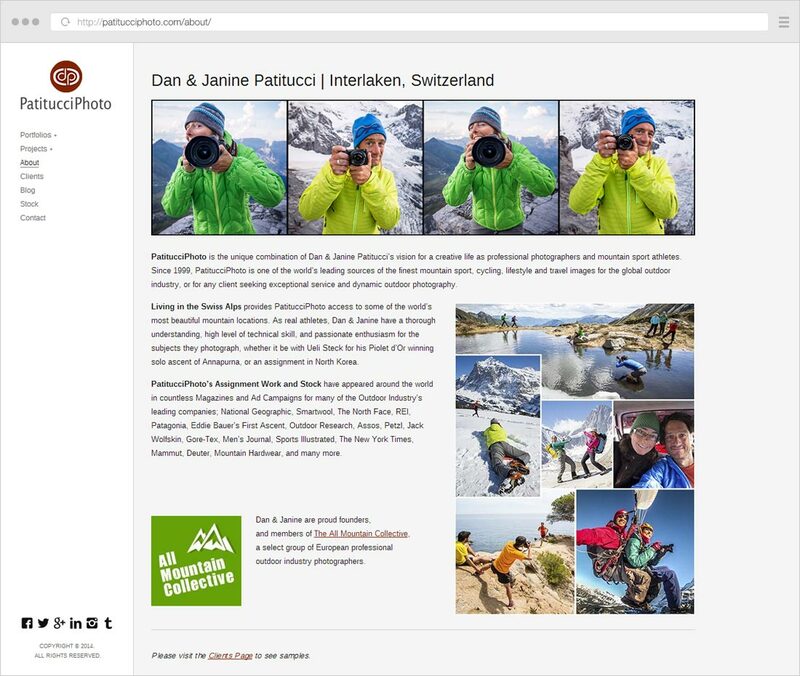 The aim of the About page is to build trust and get people to know you better. You’re making things difficult if you’re speaking about yourself in the third person. First-person writing always sounds more honest and humble. Why do you have to go through all this work to create a good About page? What’s the reason? The main idea is that the purpose of the page is to give visitors some context about your work and to convince them to do something. So where would you like visitors to go next? Sure, they can choose any page from the navigation, but this is your chance to guide them to what you want. So think about the next logical step, the flow of your site: now that they’ve gotten to know you better, should they go ahead and leave you a message or should they see a list of services or products you offer? And then make the call-to-action button stand out, don’t just hide it within the rest of the text. Great, so a nice self-portrait can create a lasting impression in visitors’ minds. But don’t forget to use a professional looking image. I’m not saying it should be sober, just that it’s technically well shot. You can’t present yourself as a professional photographer with an amateurish portrait shot by someone you know with their phone. You have to get comfortable in front of the camera as well, not just behind it. 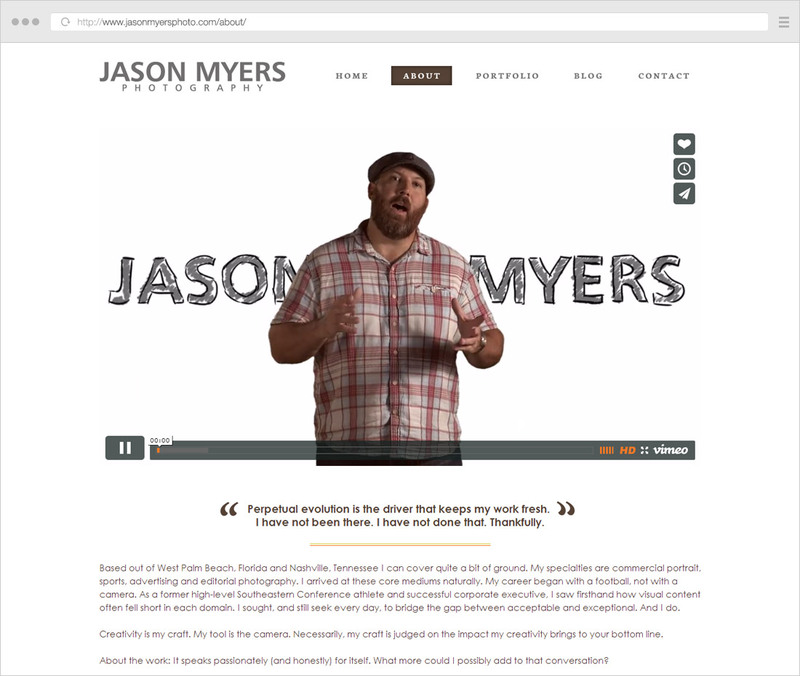 Jason temporarily replaced his “About” page self-portrait with a video promoting his latest project. People should get to know you better, right? Then by all means, let users follow you on any social media outlets you use, by including links to your respective profiles. There’s not much reason to include share/tweet links here though, I’ve rarely seen users share About pages. Conveying trust on your site is critical, especially in this age when everybody is fighting for the user’s attention. Testimonials and displaying social media counts (number of re-tweets, likes, shares etc.) are the main ways to display social proof. 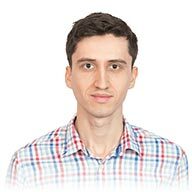 To make them more honest and convincing, testimonials should include, besides the quotes themselves, the name, portrait & job title of those people. Optional items are their location and a link to their site. Setting a funnier mood is sometimes great, but beware of crossing the border into unprofessional. You have to make things discreet and elegant too, you don’t want to appear amateurish. If you have them, don’t forget to leverage these things, you’ve earned them! If you’re just starting out and don’t have a client list to brag about, don’t worry about it, revisit this idea after some time. Sounding confident and user-focused is always more important anyway. 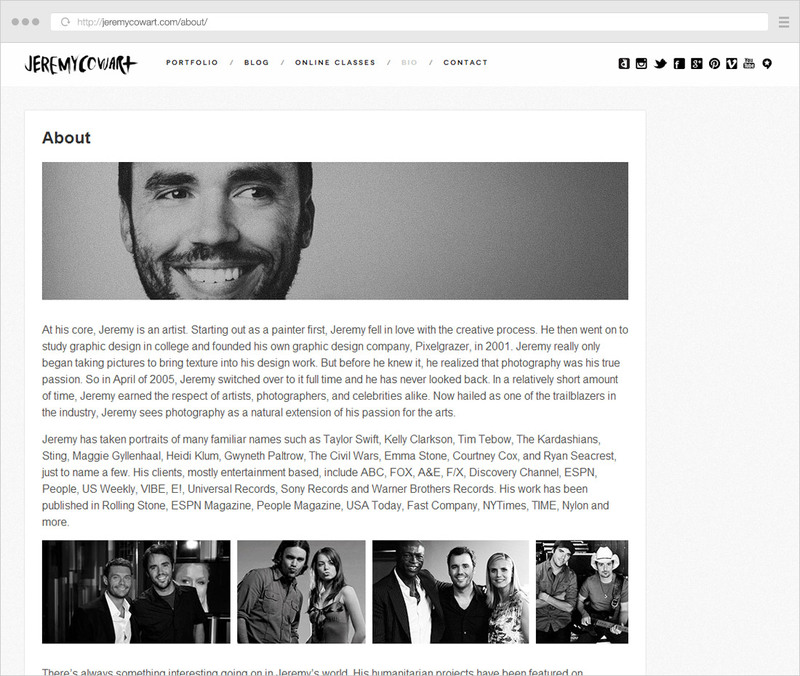 If this is a business/agency website (with a team of people behind it), a list of team member profiles (example) and a strong client roster (example) are obviously helpful. While the “About” page very rarely shows up in search results on its own (unless directly searched for), you still have to give Google something to “chew” on. Keep the title simple. Something like “About John Doe” or “John Doe bio” is fine. A great collage of photos showcasing Dan & Janine’s personality. 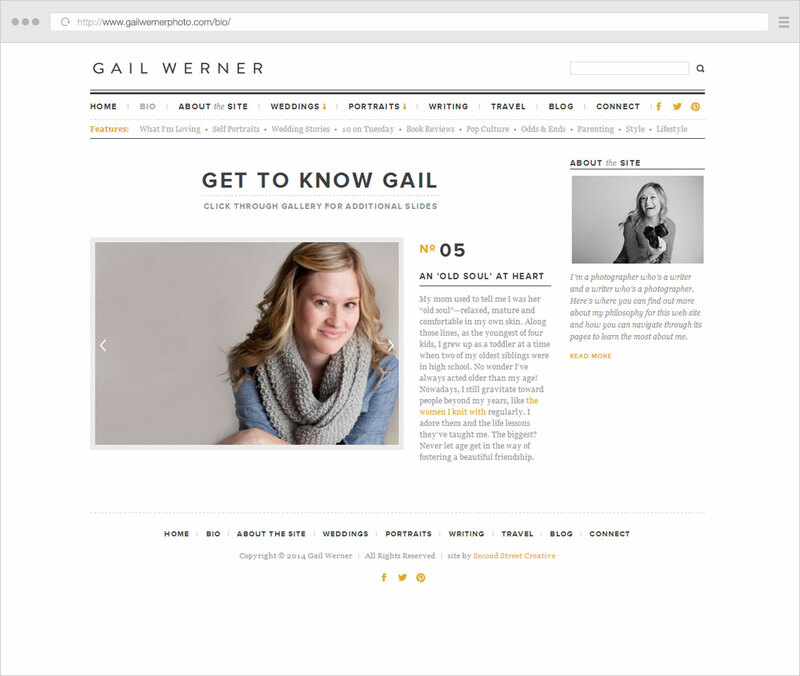 Interactive “About” page that takes you through 5 interesting facts about Gail. 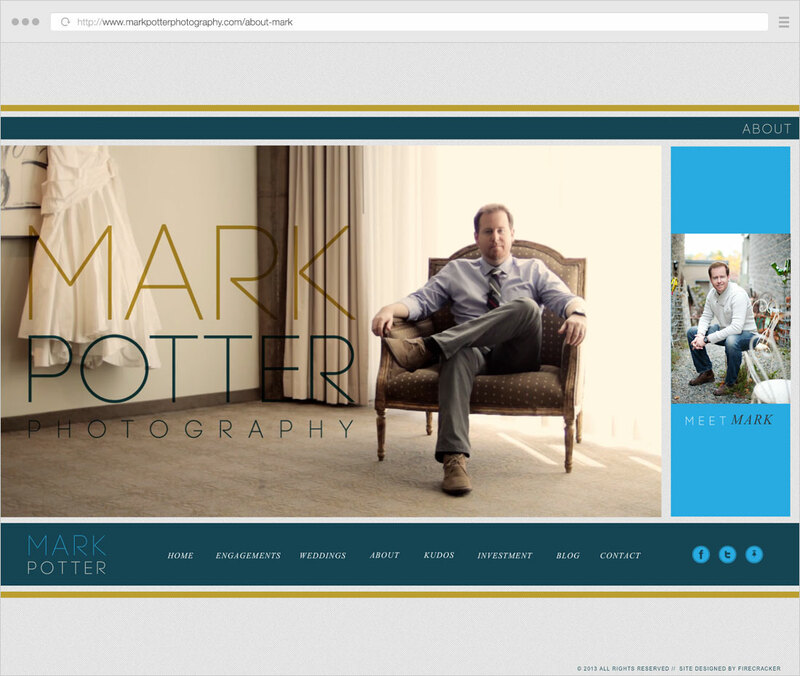 Mark displays a great video of him working with wedding clients, with the bio text available separately. With a greatly successful career, Jeremy does a good job of presenting it all in an elegant manner. 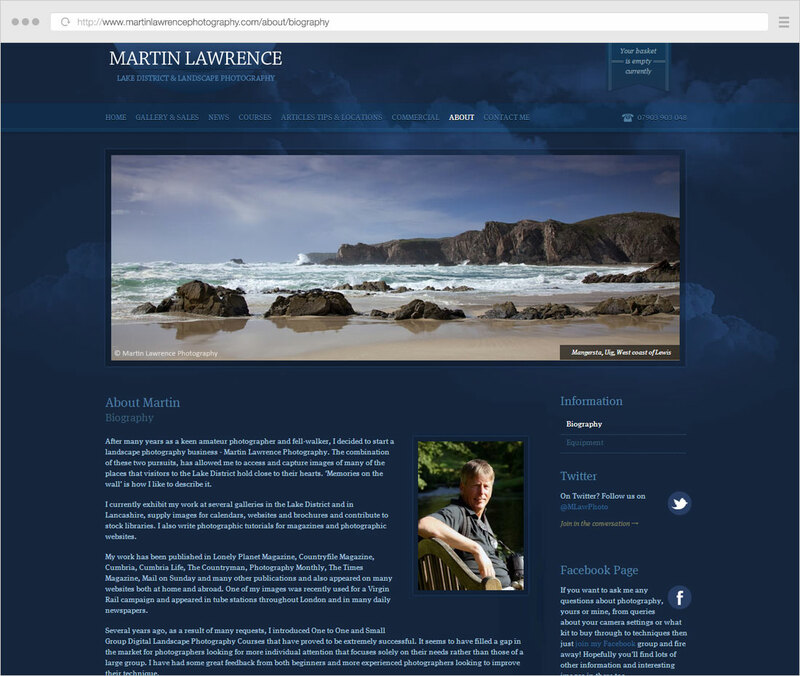 Martin uses a panoramic header image to set the mood, but doesn’t exclude a self-portrait next to the bio. After a clean and concise bio, Zack them lists his various clients, publications and featured events. Another example of a creative video used instead of a static image. 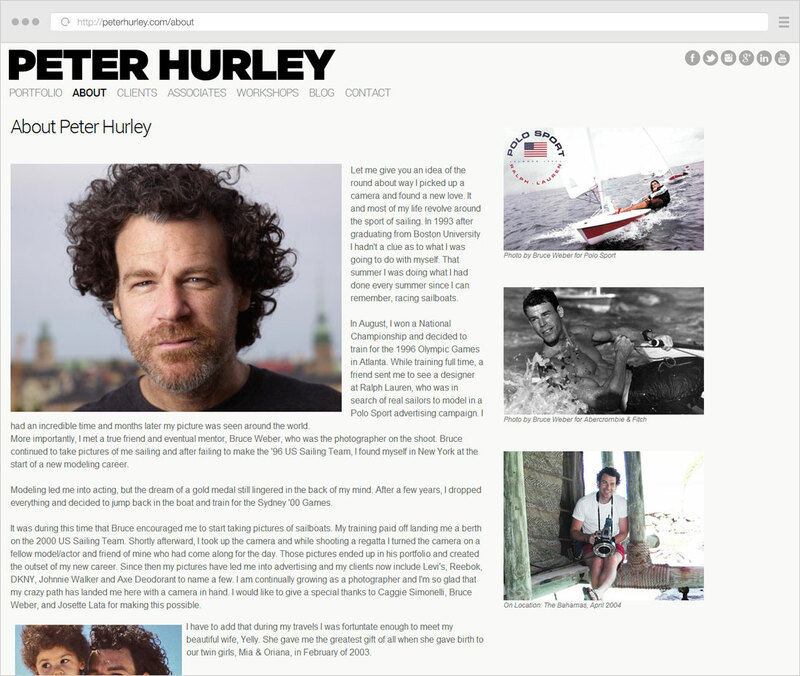 Peter includes various images from his life, in connection to his bio. Simple, yet bursting with personality. Creative portraits, nice bio, fun facts. Once again, great smiling portraits in a clean & simple design. 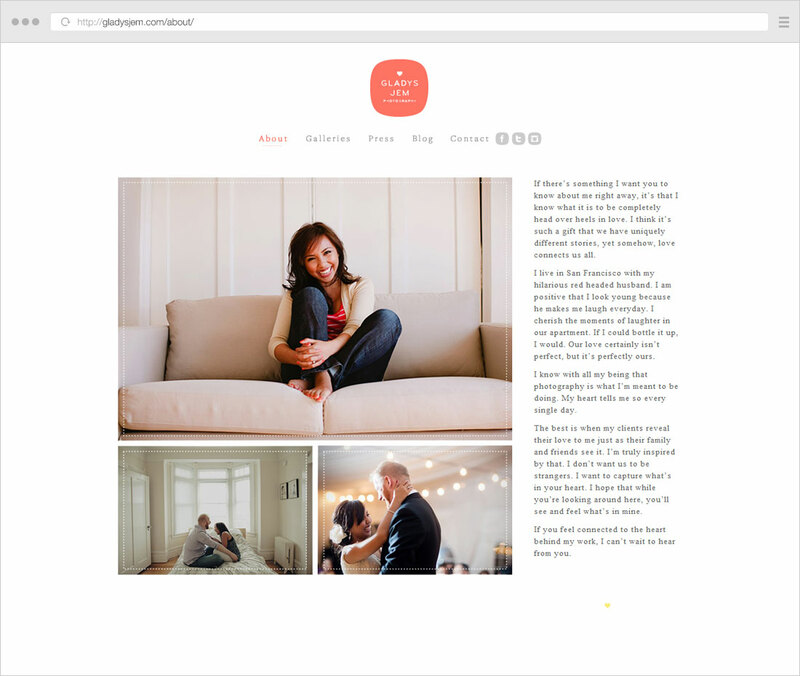 This follow-up article or mine: What to include on your About page if you’re new to photography? 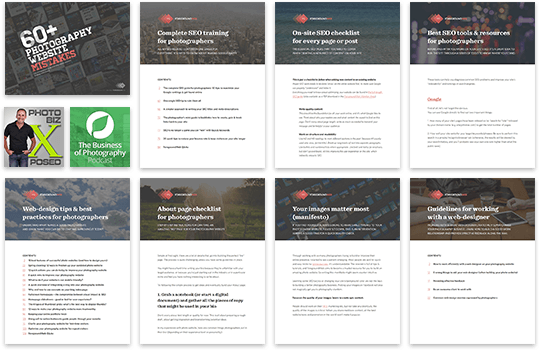 Don’t neglect the importance of your site’s “About” page. 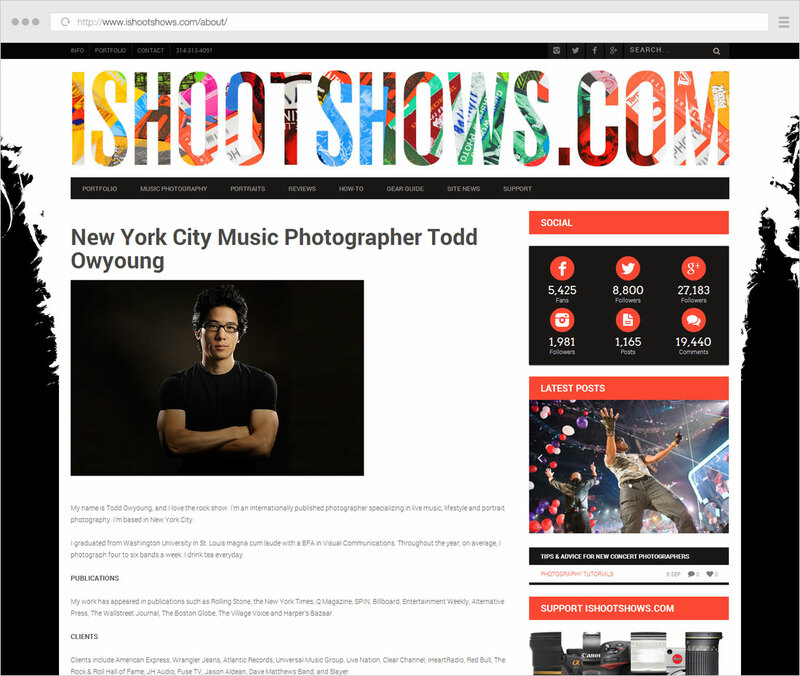 It’s often the second most visited page for photographers (after the Homepage of course). Always have a good self-portrait on the page, write a clear and concise bio, and don’t forget a prominent call-to-action. And drop the “keyword-stuffing” language and write in a natural voice, visitors and Google will thank you in the long run. 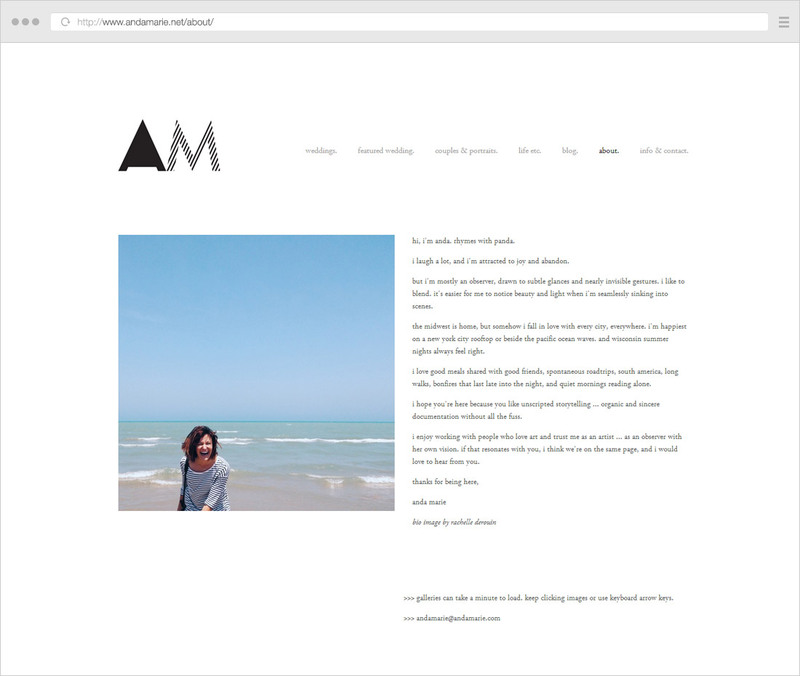 Armed with all this knowledge, and having seen what other successful photographers are doing on their “About” page, it’s time for you to revisit your own site with fresh eyes. 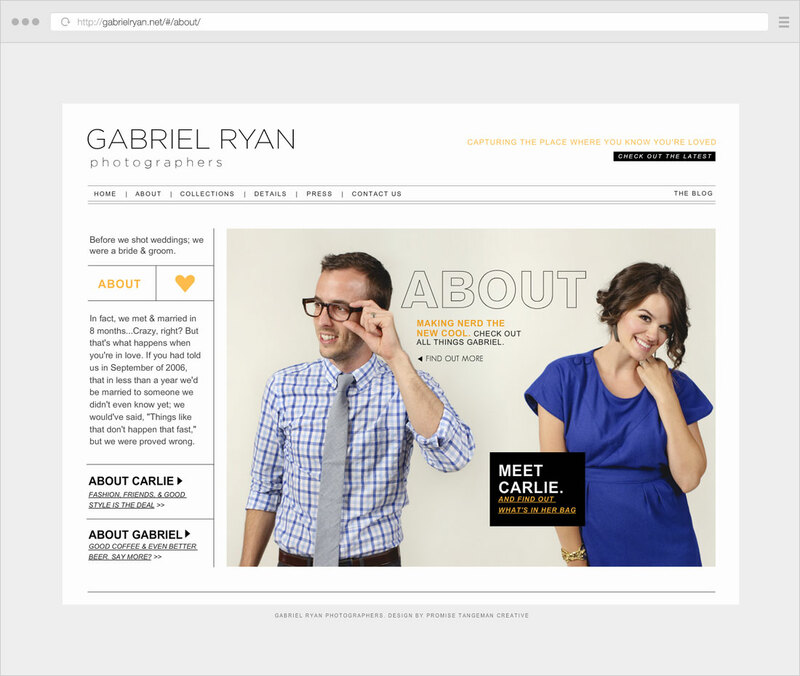 How can you improve your page to convey more trust and showcase your true personality & experience? Have any specific questions? Would like to post a link to your “About” page? Don’t hesitate to leave a comment below.